I’m convinced that we have to find a new metaphor for e-Learning in order to bring e-Learning to the next level. The old book-metaphor with chapters and pages is well suited for linear courses, but it doesn’t work for more flexible individual approaches of e-Learning. I made it my and easygenerators goal for this year to find and implement a new metaphor in such a way that it is as easy to use as the book metaphor, while offering the learner much more flexibility in finding her way through the course. At the moment I’m looking at a lot of different examples in order to learn from them. In this post I will share some of them with you. 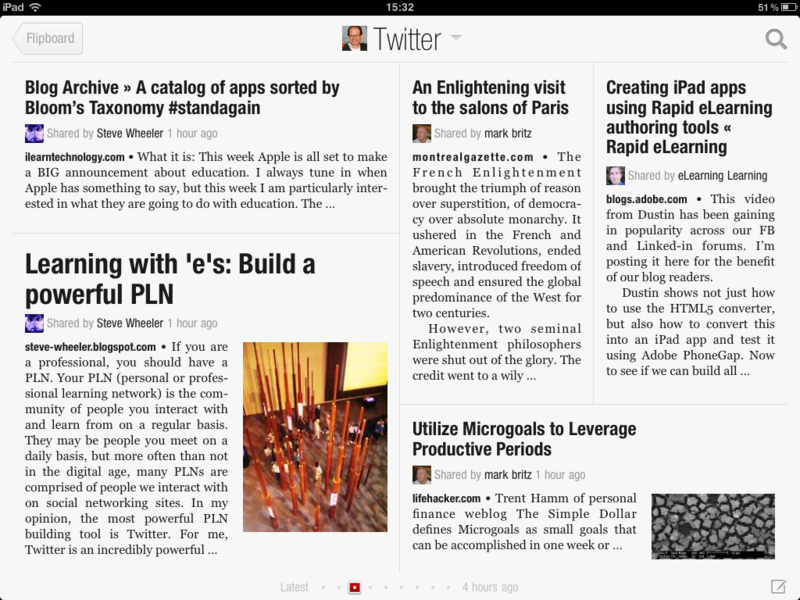 I want to start outside the world of e-Learning with Flipboard, one of the most valuable apps for the Ipad. It uses the metaphor of a newspaper to present blogs, Twitter Facebook and a lot of other stuff. It works brilliant, especially for blogs and tweets. The beginning of a post or a tweet is presented, so you can quickly scan them. If something attracts your attention you can open the complete post with one touch. This way of presenting this information really adds value. It enables you to scan all this post in a faster and more attractive way. Another cool application of a metaphor is the music app Planetary. 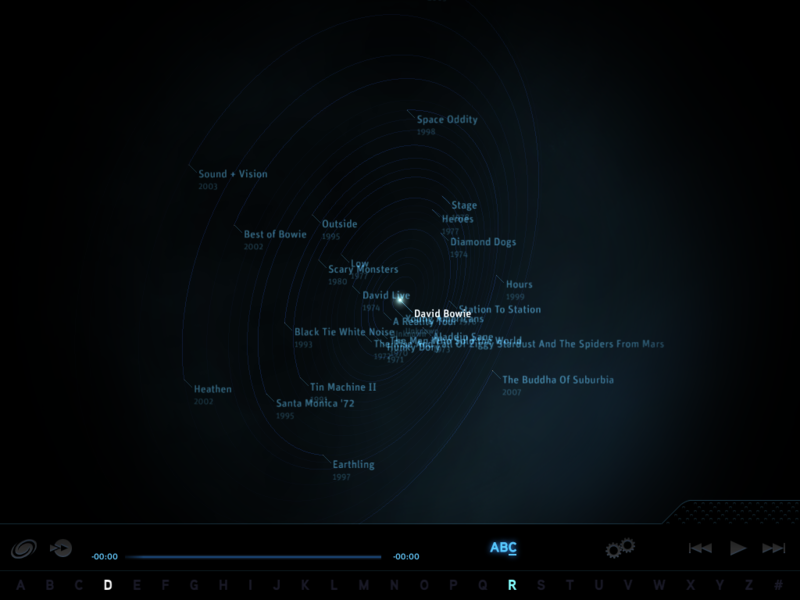 It uses the Galaxy as a metaphor to present your music library. Your artist are start, their albums are planets, and the tracks are presented as moons. A great way to present this mass of information to you in a whole new way. As you can see I’m a David Bowie fan, this images zooms in on the ‘star’ David Bowie. Looking at e-Learning courses I found a lot of metaphors. They either offer the learner a certain context or they will represent the content in a graphical way. 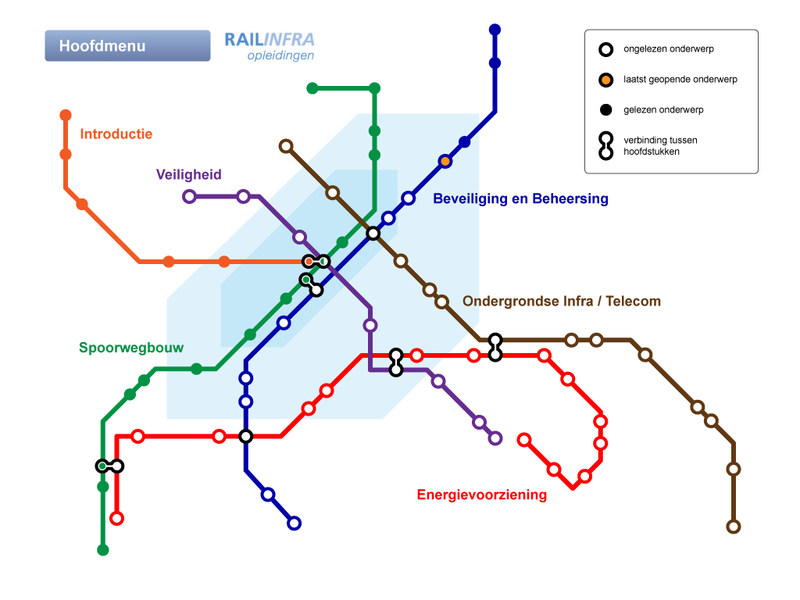 This example is created by one of easygenerators Dutch partners (Atrivision). It’s a medical course where nurses have to learn how to solve certain cases. The floor-plan gives them context, but also makes it possible to make a selection for the place where you want to perform your next action. By selecting a certain room, you also limit the possible options that you have. Another example I liked a lot was the tube map. It is used to represent the content of a course. The subjects are represented by the lines, stations are certain topics. I like the stations that are connected to more than one line, you can switch from subject there, because they are connected. 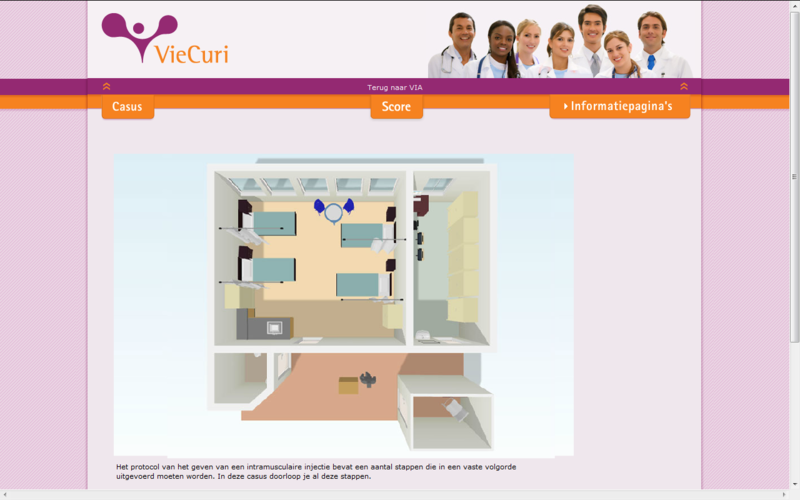 This example is made by an other Dutch partner (ISM Learning). Both of these examples are custom made for a specific course. This is a lot of work when you create them, but even more work to maintain them. This gives me two requirements for the new metaphor. First it must be as generic as the book metaphor. The second one is that it must be easy to create and maintain. One of the metaphors I’m very interested in are the ‘learning maps’; a geographical map as a representation of e-Learning content. If you combine such a map with a navigation tool, you would get a very rich environment to present learning content, giving overview and control to the learner and providing information on possible learning routes. The ‘Fraunhofer Institute’ in Karlsruhe has done extensive research at this metaphor. I will visit them in February. I hope to learn from them and I hope that we can work together at the new metaphor. I will present on learning metaphors and learning maps at the ‘Learning solutions’ conference in Orlando in a concurrent session (#311, Wednesday, March 21, 2:30 – 3:30). I hope to share my ideas in more detail and get feedback on them and hopefully will receive some suggestions on the direction to take. In the meantime I will keep my eyes open for other possibilities. If you have examples or ideas you want to share with me, that would be great. You can contact me through this blog or at Mail@KasperSpiro.com. I will keep you updated on my findings about metaphors in future posts.